Even the most skilled tradesman and companies can sometimes struggle to complete jobs without the proper equipment. While some think that traditional metal ladders are the only option that is viable for industry work, the glassfibre stepladder from The Workplace Depot is a versatile and modern solution for both homes and businesses. 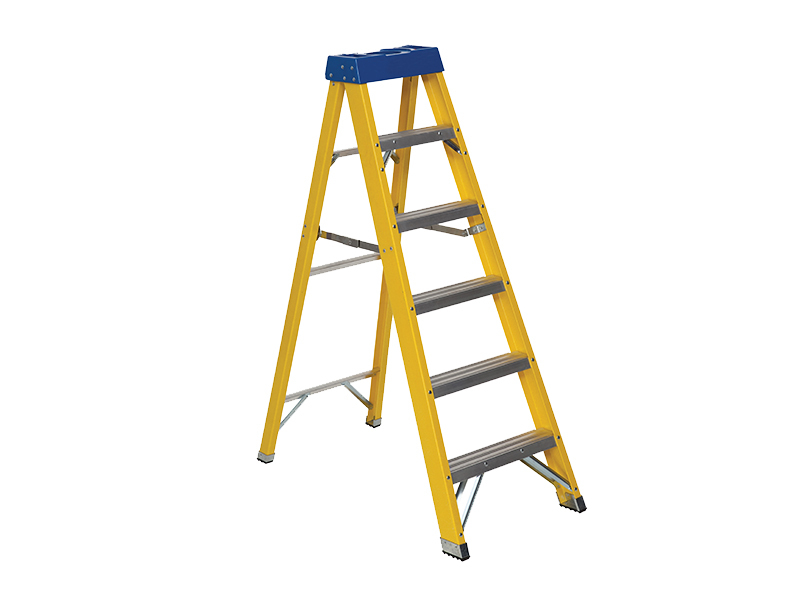 Built to be an alternative to traditional ladders which can sometimes wobble and prove dangerous for electric work, this stable and non-conductive unit is ideal for electricians and many other types of companies. 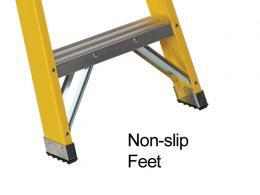 What is The Purpose of The Glassfibre Swingback Stepladder? Built with safety and stability in mind, this unit provides a solid and sturdy foundation to help homeowners or tradesmen get the additional elevation they need to perform work efficiently. The lightweight design makes transporting the unit much easier. The material is also non-conductive, making it a much safer choice for electrical work. The anti-slip rubber feet give the unit an ability to remain stationary even during jobs which require large amounts of movement. This product can be used in various construction jobs. From utility work to painting jobs to electrical operations, the glassfibre stepladder is a versatile tool that is compact enough to transport from job to job but sturdy enough to give years of reliable service. 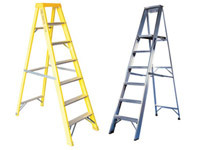 Suitable for both commercial and residential facilities, the ladder can be used as an alternative to bulky metal ladders and small homemade solutions. This product is ideal for electrical or maintenance work, as the non-conductive material allows for a safer source of elevation. Multiple companies can benefit from the unit as it is easy to transport and still provides a stable and rugged base for performing multiple jobs. Homeowners can also benefit from this tool, as it is a lightweight, easily-storable, and reliable unit to help perform odd jobs around the home. The molded tool tray gives a reliable platform to use for longer jobs, so multiple trips aren’t needed to complete repairs and maintenance. 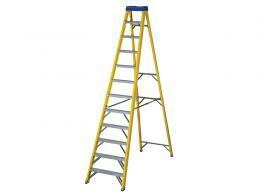 This glassfibre stepladder comes in numerous models to help everyone get the right tool for their unique situation. Choose between four and twelve treads and 940mm to 2800mm in height to make sure you get the right model for your needs. Exchanges are easy and we will match any price. Get the tool you need to help improve your home or business today!